KATHAMNDU, June 15: All seven federal provinces have tabled their budgets and programs for the next fiscal year in their respective provincial assemblies. Province 3 has the highest budget amount of Rs 35.61 billion while Gandak Province has tabled a budget of Rs 24.02 billion, the lowest. Karnali Province and Province 1 are at the top in allocations for development activities with 75 percent of their budgets going for such activities. Only 25 percent of the budgets are for recurrent spending. 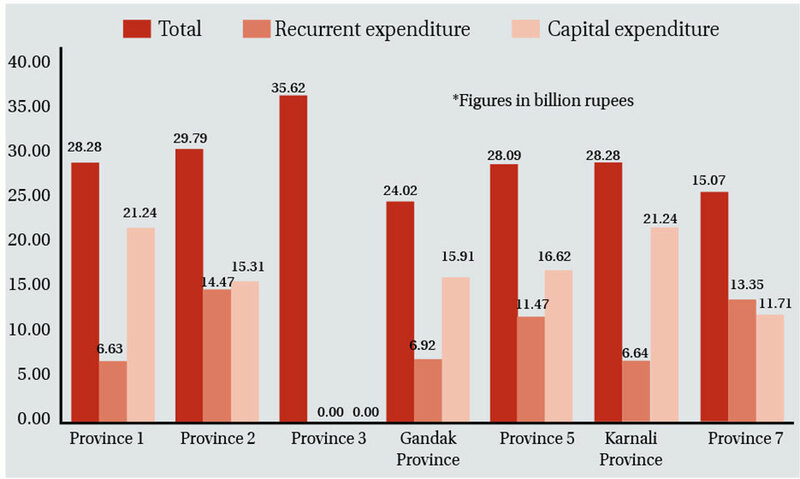 All the provinces have allotted at least roughly half their budgets for development work while two provinces—Karnali and Province 1-- have allotted 75 percent for capital spending. This is a change from the federal budget which allocates hardly a fourth of the total for development work. About two-thirds of the total budget is for meeting regular expenditures. Asar 1st (mid-June) is the mandatory date for all provinces to table their budgets and programs for the next fiscal year in their respective assemblies along with their annual income and expenditure plans . This is the first time they have tabled full- fledged provincial budgets, following the provincial elections held last year. Province 1 has put housing and infrastructure under top priority with an allocation of Rs 9.50 billion. Roads and infrastructure development are top priorities for the provinces and some of them also allocated budgets for parliamentary development funds, following the example of the federal parliament. Tourism and agriculture are top priorities of Province 3 while Gandak Province has made roads top priority with an allotment of Rs 3.20 for the sector. One constituency one standard road is another program of the province. Each province has a budget of Rs 21 million for roads. Likewise, Province 5 has allotted Rs 8.92 billion for infrastructure development including Rs 705 million for the parliamentarian development fund. 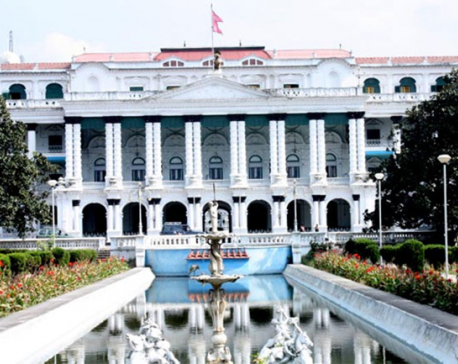 Allocation for agriculture and tourism is 2.13 billion while the social development ministry has a budget of Rs 2.19 billion. Karnali Province has allotted Rs 50 million for each of the 24 constituencies in the province through a 'People's Road Program' while Province 7 has set aside Rs 64 million for each constituency to build a sports ground .